Jacksonville Library | Historic Jacksonville, Inc. In 1885, Jacksonville residents began fund raising efforts for a public library, but it was 1908 before a free public library was finally established for town residents. The Library Association rented the “Beekman building on Main Street” and fitted up a reading room with table, bookcase, desk and chairs. It was initially stocked with 50 books from the State traveling library, 80 donated books, and a collection of Harper’s Monthly magazines dating from 1868. Library hours were Tuesday and Friday from 7 to 9 pm and Wednesday and Saturday from 2 to 6 pm. Books could be checked out for 1 week. There had been earlier town libraries—a subscription circulating library; a Catholic library established by the local priest; and a Young Men’s Library & Reading Room Club. 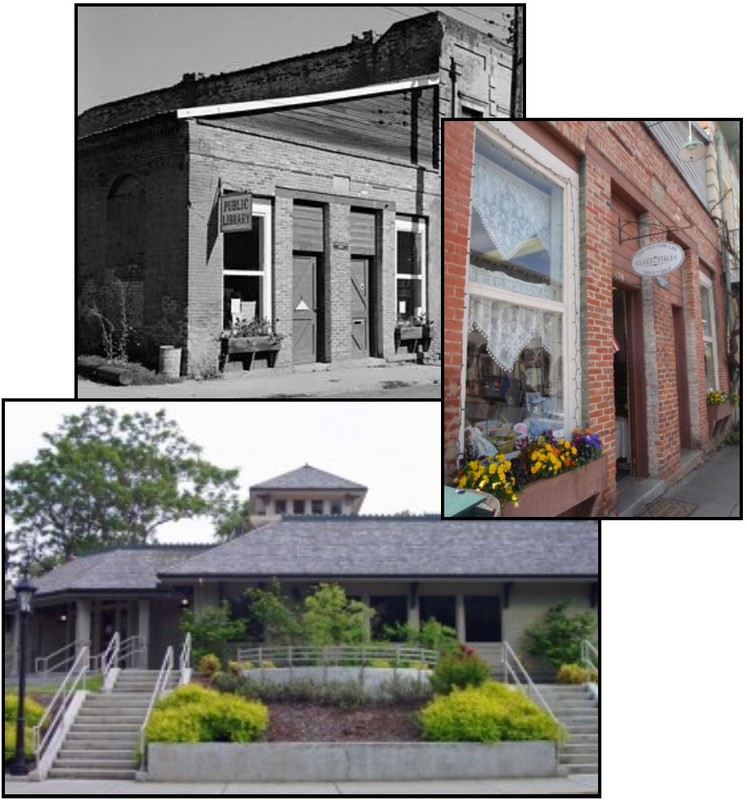 In 1920 Jacksonville, with a population of 489, was the first town to respond to a cooperative arrangement with the County, finding a “suitable room” in the 1855 Brunner Building at the corner of S. Oregon and Main streets—the oldest brick building still standing in Jacksonville and the Pacific Northwest. On 2 afternoons and 1 evening each week Mrs. H. K. Hanna, the first librarian, supervised the circulation of 290 books. But long before the end of the 20th Century, the Brunner Building was a very “tight squeeze.” A 2000 County-wide bond measure funded construction of the current Jacksonville library on West C Street.